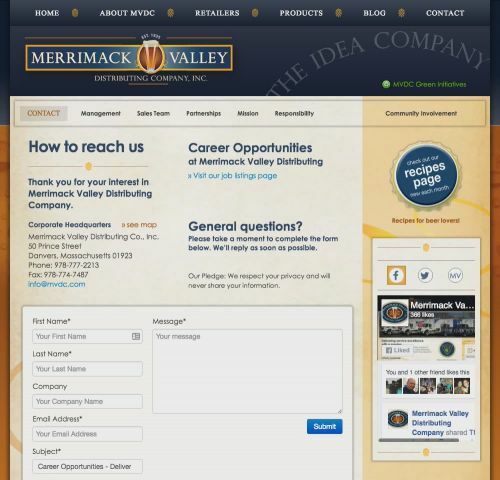 Establish company's initial online presence. 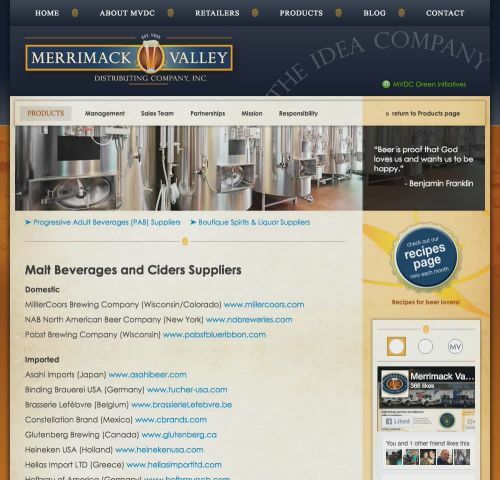 Merrimack Valley Distributing wanted to deploy a website, and had a rough idea of what the content should be. 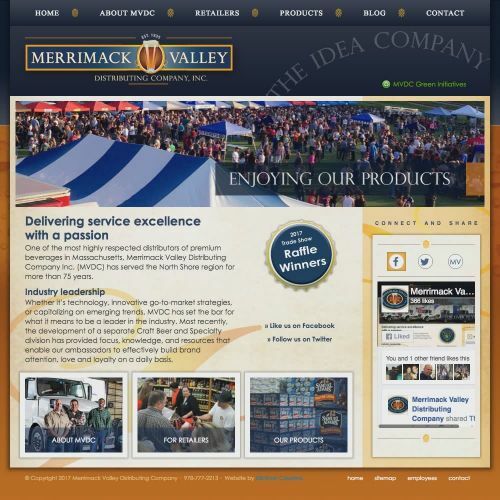 Create an engaging and memorable online experience worthy of a respected family business held in high regard on Boston's North Shore. "The Still River Creative team took the raw input provided and turned it into an amazing, future-ready web property. I suggested we did not need mobile compatibility, and the site was built accordingly. I later learned that although we are not mobile compatible, the capability is still part of the framework. This will save a lot of time, money, and hassle if we decide to go mobile someday — smart planning by Charles and Will! As for Maria, she not only created a gorgeous site design; she did an excellent job on our new company logo. Thanks to the entire team. Glad to be working with you." Client did not see a need for mobile compatibility, though at the time virtually all web properties were built as mobile compatible by default. Easy, intuitive navigation. Secondary navigation appears on all pages except Home. A turnkey site build Aside from the required client input, decisions and approvals, stakeholders were able to return to work and watch their site being built. 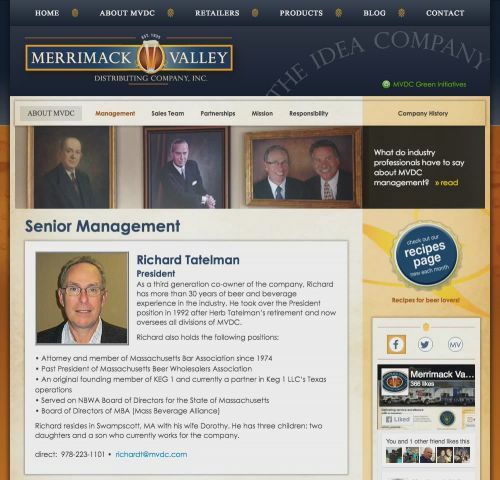 The Still River Creative team was entrusted with all decisions about site organization and information flow, marketing/messaging style and tone; and company positioning. Fast-loading, high-performance website built according to industry-standard best practices. Bootstrap framework provides future-ready capability for mobile compatibility. Blog page echoes live feed from separate tumblelog, allowing product manager to add weekly specials by updating Tumblr. Secure log-in to monthly price changes and promotions page. Recipe page offers a new recipe each month, increasing customer engagement. 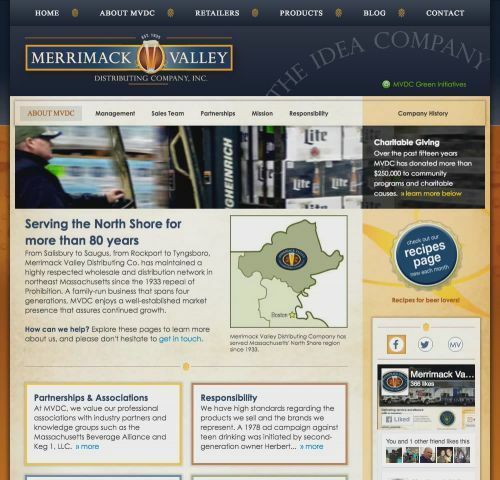 An effective first web presence that tells the company's story and positions the company favorably in the market.